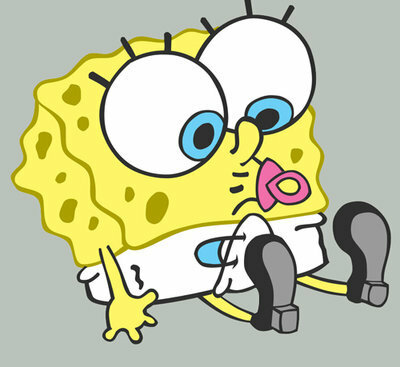 Awwwwwwwwwww..... adorable little spongy! **hugs** rawr spongebob! Keep on rockin'! WHO LIVES IN A PINEAPPLE UNDER THE SEA??????? THE MOST ADORABLE BABY PICTURE I HAVE SEEN!!!!!!!!!!!! Awwwwwwwwwwwwwww!!!!!! So fricking adorable!!! I just wanna squeeze him!!!!!! !